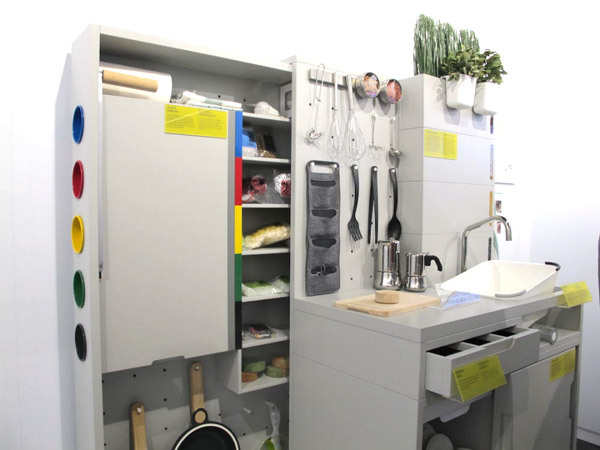 When we are still trying to have a gourmet kitchen, Ikea is thinking about how the kitchen should look like in 2025. 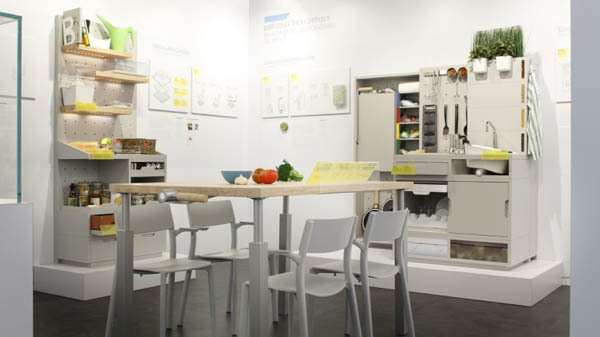 The Swedish furniture giant thinks your next kitchen could be minimalist as smart as your phone. 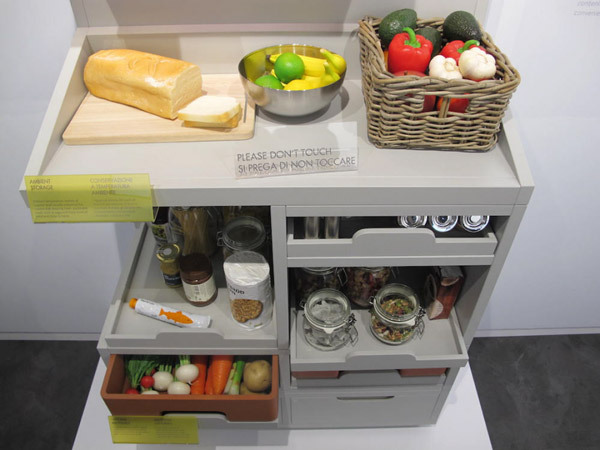 Team up with IDEO and university students, they designed below Internet-connected kitchen of the future which includes a table for living, a smart pantry containers and a thoughtful waste/composting system. 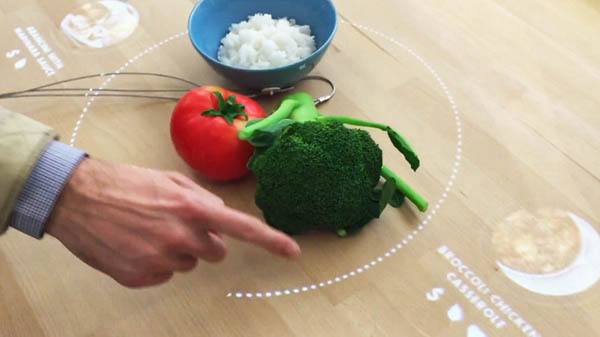 The table is a smart camera and projector that acts as an interactive control center. 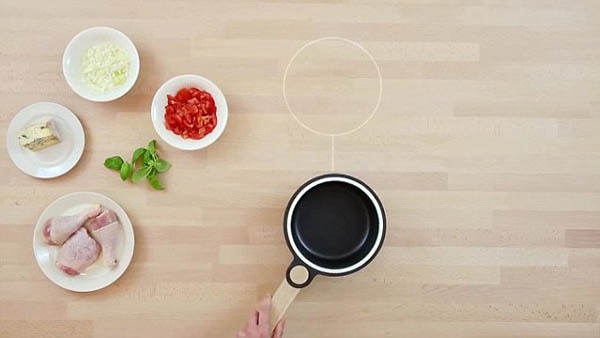 Place food on the table and the camera will identify it and project suggestions for dishes to use it, recipes, and a timer. Adjusting the timer for time available for preparation filters the recipes. 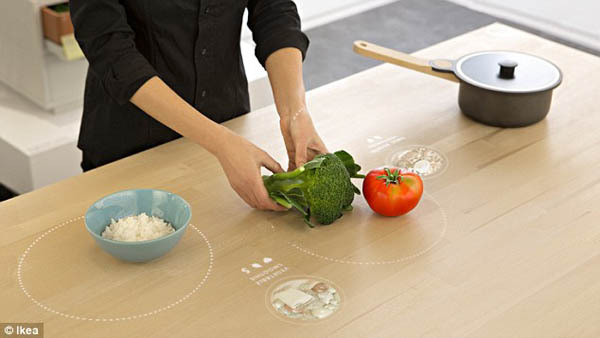 Meanwhile, under the wood surface of the table are induction coils connected to computer networks that can heat cookware and recharge portable devices. Based on the assumption by 2025 weekly shopping will be a thing of the past and groceries can be delivered within minutes of placing an order (by drone we assume). 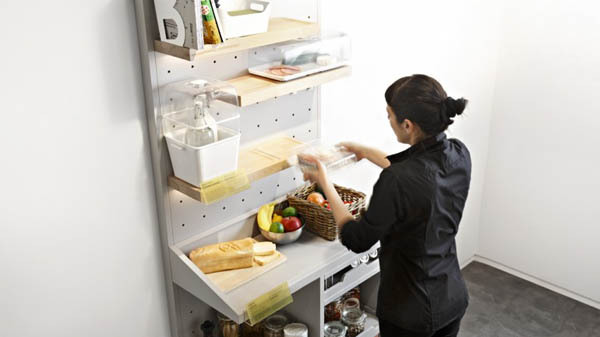 Instead of fridges and cupboards, the Concept Kitchen storage system uses open shelves in a peg board arrangement that evokes a market stall. 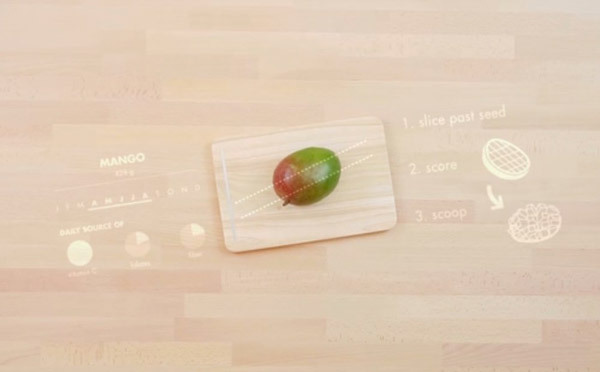 The wooden shelves contain hidden sensors and smart induction cooling technology while perishable foods are immediately visible, which promotes their use instead of being forgotten at the back of the fridge. After dinner, the Thoughtful Disposal system takes over, with the householder manually sorting recycling from rubbish in a sort of home bottle bank. These are then crushed, vacuum-packed into a bio-polymer tube, and labeled for pick-up. 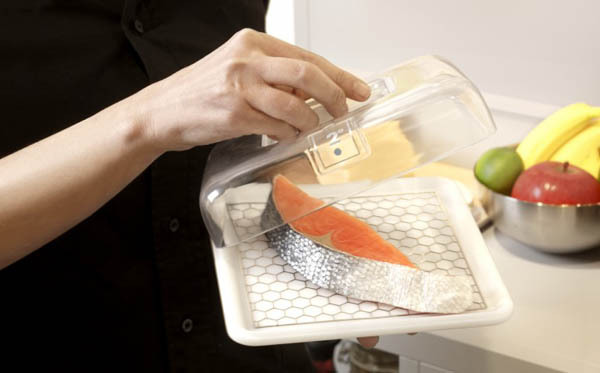 To further cut down on waste, the kitchen sink empties into a composting system where the water is removed and the solids are compressed into an odorless puck, which is collected by the local government. The water is used for indoor plants. Water not suitable for plants is sent into municipal sewage pipes. For more detailed information, check its official site or watch the video below. Optical Illusion: Are they Sinking?